After leaving Oxford, Sarah Gristwood worked as a journalist specialising in the arts and women's issues. The author of two Sunday Times best-selling history books, she is a regular contributor to The Times, the Guardian, the Independent and the Evening Standard. Arbella, her biography of Arbella Stuart, the first cousin of Elizabeth I and heir to her throne, was widely acclaimed. She is also the author of Elizabeth and Leicester, the story of the relationship between Elizabeth I and Robert Dudley, Bird of Paradise, a biography of the poet, actress and royal mistress, Mary Robinson, Fabulous Frocks, an illustrated account of the dresses that shaped twentieth-century fashion, and Breakfast at Tiffany's: The Official Companion, which marked the fiftieth anniversary of the classic film, The Girl in the Mirror, a novel set in Elizabethan times, Blood Sisters, an acclaimed study of the royal women who brought the Tudor dynasty into being, The Story of Beatrix Potter, Game of Queens, a book about female rulers in the sixteenth century, The Queen's Mary, a novel of Mary, Queen of Scots, and Elizabeth: The Queen and Crown. AWT are lucky to have Sarah as a full-time guest historian on the tours. After reading History at Emmanuel College, Cambridge, Julian Humphrys spent 12 years at Chelsea’s National Army Museum where he set up a number of special exhibitions and was spokesman to the media on all matters of military history. He has acted as a historical expert on a number of TV programmes, has featured several times on BBC Radio 4’s Ramblings series, and made three expeditions to Bosnia during the civil war to record the British army’s activities there and obtain objects for display in the Museum. A qualified Blue-Badge guide, Julian left the Museum to pursue a career in guiding and lecturing – battles and castles are his speciality! He worked alongside Alison Weir on English Heritage’s Tours Through Time, and in 2009 he was appointed Development Officer of the Battlefields Trust, the UK Charity dedicated to the preservation and interpretation of Britain’s historic battlefields. Julian lectures and writes extensively on many aspects of British history – he is a regular contributor to BBC History Magazine and History Revealed Magazine and his published books include The Private Life of Palaces (for Historic Royal Palaces), Clash of Arms: Twelve English Battles and Enemies at the Gate: English Castles under Siege (both for English Heritage). Julian has now joined us for two tours, and has proved very popular with our guests. Nicola Tallis, AWT's other fuull-time guest historian, graduated from Bath Spa University with a first class BA Hons. degree in History, and has an MA in Public History from Royal Holloway College, University of London. She is currently studying for her PhD at the University of Winchester, where her thesis investigates the jewellery collections of the queens of England between 1464 and 1548. She has been passionate about English history all her life, and published her first book, Crown of Blood: The Deadly Inheritance of Lady Jane Grey, in November 2016. Nicola completed an internship with the Interpretation Department at Hampton Court Palace, and also worked with the Curators to provide historical research for future projects. 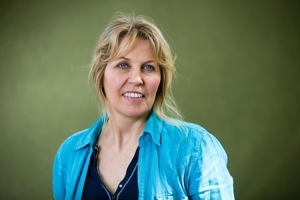 She has also given papers about sixteenth-century monarchy at several historical conferences, and has been working with the National Trust at Montacute House, delivering their education programme to school children, and at Wilton House. She worked as the Curator at Sudeley Castle, and featured prominently on BBC’s Countryfile in April 2013, guiding at Sudeley. 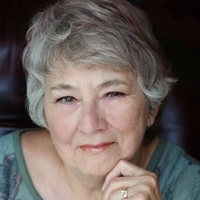 Her second book, Elizabeth's Rival, was published in 2017. 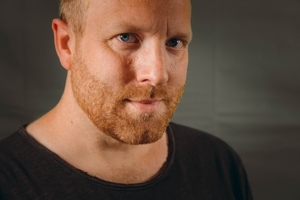 Matt Lewis has written two historical fiction novels, Loyalty and Honour, as well as several non-fiction histories, including The Wars of the Roses, a biography of Richard, Duke of York, a biography of Henry III and, most recently, The Survival of the Princes in the Tower. Despite obtaining a law degree, history has always remained a passion and Matt now operates a blog as well as being active on social media, where he enjoys engaging with others interested in medieval history. Melita Thomas is the co-founder and editor of Tudor Times, a repository of information about Tudors and Stewarts in the period 1485-1625. Editing the site requires extensive research into the people, the politics, the plots and the perils of the time. Melita has recently published her first book, ‘The King’s Pearl’ about the youth of Queen Mary I. Mary’s Lady Governess was the Yorkist Margaret Pole, Countess of Salisbury, niece to Edward IV and Richard III, and a close friend of Mary’s mother, Katharine of Aragon. Mari Griffith began her career as a singer before moving into radio and television as a presenter of many different types of programmes for children, adults and the BBC Television Schools Service. Then a career change saw her take up a staff appointment with BBC Wales as a bi-lingual continuity announcer; she is a fluent Welsh-speaker. Two years later, after an intensive training course, she became a multi-camera television director, again working on a variety of programmes. Now retired from broadcasting, Mari at last has time to concentrate on something she loves - writing. Short stories brought initial success, with two included in anthologies published by the Historical Novel Society. Her debut novel, Root of the Tudor Rose, tells the little-known story of the astonishing love affair which founded the Tudor dynasty. The book met with considerable critical acclaim, became an Amazon best-seller and remained high in the charts for well over a year. Mari's second novel, The Witch of Eye, takes up the story of the scheming Eleanor Cobham, a tale of intrigue, passion and ambition that culminated in the most sensational treason trial of the fifteenth century. It was chosen as the Welsh Books Council's 'Book of the Month' for July 2016. Mari is currently working on her third book. 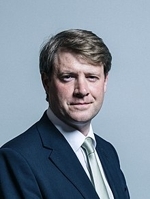 Chris Skidmore was educated at Bristol Grammar School and Christ Church, Oxford, where he was a St Cyre's and Dixon Scholar and President of the Oxford University Historical Society. He graduated in 2002 with a double first and was awarded a Gibbs Prize. Chris conducted postgraduate research at Oxford, where he was a convenor of a graduate seminar on the Tudor nobility. He was an adviser and researcher to Bristol's bid for European Capital City of Culture 2008 and was research assistant to Robert Lacey for his Great Tales of English History series. Chris has also written for the Western Daily Press and People Magazine. Chris currently teaches Early Modern History part-time at Bristol University. He was first elected in 2010 as the Conservative Member of Parliament for Kingswood, South Gloucestershire. Chris' first book, Edward VI: The Lost King of England was published in 2007. Since then, he has published Death and The Virgin, an investigation into the mysterious death of Amy Robsart; Bosworth: The Birth of the Tudors; and, most recently, Richard III: Brother, Protector, King. Philippa Langley is a British writer / producer and lives in Edinburgh. In 2012,she led the search for Richard III in a council car park in Leicester through her original Looking For Richard Project. Philippa conceived, facilitated and commissioned this unique historical investigation. Following seven and a half years of enquiry, she identified the likely location of the church and grave, instructing exhumation of the human remains uncovered in that exact location. Her project marked the first-ever search for the lost grave of an anointed king of England. She is President of the Scottish Branch of the Richard III Society and in 2015 was awarded the MBE by HM The Queen at Buckingham Palace. With King Richard III laid to rest, Philippa has turneed her attention to one of our most enduring historical mysteries: the disappearance of the sons of King Edward IV of England, more commonly referred to as the ‘Princes in the Tower’. Will new archival searches for evidence, a re-examination of existing sources and the introduction of a modern Police ‘cold-case’ investigation, finally reveal the fate of ‘The Missing Princes’? At Bosworth in 2015, Philippa launched this unique project. Now, three years later, she returns to the White Rose tour to reveal what this remarkable modern investigation now tells us and how a 500-year-old missing persons enquiry is already moving our knowledge forward. David Santiuste is a historian of late medieval Britain. He is the author of two books: Edward IV and the Wars of the Roses and The Hammer of the Scots. His other publications include contributions to Medieval Sexuality: A Casebook and Medieval Warfare. David grew up in Doncaster, South Yorkshire, where his interest in history was inspired by visits to nearby castles and churches – as well as regular trips to his local library. He went on to study at the University of St Andrews, where he continued with postgraduate research. He currently teaches history at the Centre for Open Learning, University of Edinburgh. He is also the creator, with Rae Tan, of the website Reflections of the Yorkist Realm (yorkistrealm.com). 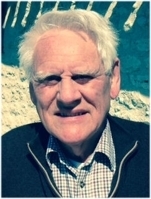 A. J. Pollard is emeritus professor of History of Teesside University. He has published extensively on fifteenth-century English political, social and economic history, including popular engagement in politics and in particular on the Wars of the Roses, as well as on the history of north-east England. A graduate of Bristol University, His doctoral research under Charles Ross on the Talbot family led to his book, John Talbot and the War in France. Subsequent books include North-Eastern England during the Wars of the Roses, Richard III and the Princes in the Tower (now available electronically), Imagining Robin Hood: The Late-Medieval stories in Historical Context, Warwick the Kingmaker: Politics, Power and Fame, three editions of The Wars of the Roses and Late-Medieval England, 1399-1509. His Edward IV, in the Penguin Monarchs series, was published in 2016. 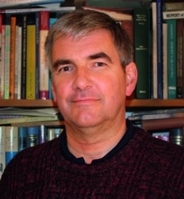 Michael Jones is a fellow of the Royal Historical Society and a member of the British Commission for Military History. He is a leading military historian, with specialist interests in battle psychology and French history. He is a member of several distinguished societies in both the UK and France, including the Royal Historical Society and La Société d'Histoire et d'Archéologie de Bretagne. Michael's first book, The King's Mother, a biography of Lady Margaret Beaufort, was shortlisted for the prestigious Whitfield Prize. He has published nine books since, covering numerous topics from Agincourt and Bosworth to Stalingrad. Michael has worked extensively with veterans of the Second World War. He has also been a historical advisor for both Russia Today and The History Channel. His tenth book, The Life and Times of the Black Prince, was published in 2017. Michael is the author, with Philippa Gregory, of The Women of the Cousins' War, and with Philippa Langley, of The King's Grave: the Search for Richard III. His most recent work is a study of the life of the Black Prince. He also guides for historical tour companies. 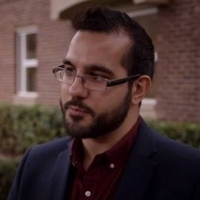 Nathen Amin grew up in the heart of Carmarthenshire, West Wales, and has long had an interest in Welsh history, the Wars of the Roses and the early Tudor period. His first book, Tudor Wales, was released in 2014 and was well-received, followed by a second book called York Pubs in 2016. His third book, the first full-length biography of the Beaufort family, the House of Beaufort, was released in 2017 and became an Amazon #1 Bestseller for Wars of the Roses. He is currently working on his fourth book, Pretenders to the Tudor Crown, for release in 2019. Nathen is also the founder of the Henry Tudor Society and has featured discussing the Tudors on BBC radio and television, as well as in print and online media across the UK. He has a degree in Business and Journalism and now lives in York, where he works as a Technical Writer. Siobhan Clarke, who looks after AWT bookings, pre-tour customer care and admin, has a BA in Modern History and an Adult Education Teaching Certificate. She has worked for Historic Royal Palaces for seventeen years and is based at Hampton Court Palace, where she trained as a Costumed Interpreter before becoming an HRP Guide Lecturer. As well as specialising in 16th century dress, she delivers tours and lectures on Hampton Court, The Tower of London and the Banqueting House, Whitehall Palace. 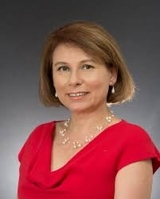 Siobhan lectures abroad for P&O, Crystal and Viking cruise lines and, within the UK, she has lectured for the Smithsonian, the National Trust, the U3A and the Arts Society. She has featured on BBC Radio Women's Hour and PBS Television Secrets of Henry VIII's Palace. In 2018, her first book, co-authored with Alison Weir, will be published by Jonathan Cape. John Marston has had over fifty years' experience in the travel industry, and he will accompany the tour in the role of Travel Director to ensure that all guests have information on hotels, restaurants, schedule timings, local information and baggage handling etc.. John has worked for major commercial companies including Land Rover, Jaguar Cars and L'Oreal Cosmetics, arranging world-wide travel for groups of between forty to over four hundred. His experience has included planning and booking trips, and personally escorting these groups. For Land Rover, John was in charge of their major U.S. dealer group, looking after a party of fifty executive guests and their partners, and arranging visits to London, Eastnor Castle in Herefordshire, the Duke of Atholl's estate at Pitlochry in Scotland, and Gleneagles Hotel in Perthshire, Scotland. This was just one of many launch programs that John has organised; his priority has always been to give the highest standard of personal attention to guests' needs. Jo Marston accompanies AWT's tours with her husband, John; her role is to look after guests' pastoral needs and support the team.